The best video I've ever seen in your blog. I really cried when your mother was giving advice. What a wonderful message from a Guru to a Shishyai than a Mom to a Daughter. Good one. Your mother's view totally different and interesting too. I have a mixed view running in my mind. But I agree with your mother's view for one. When one has to improve in his/her career, he/she shd never have that gharvam getting in to their head and should always think like a student and keep learning. 100% true, what ur mom said..
Inspiring speech from ur mom. You are lucky to have ur mom as ur Guru,none other than ur mom could have been a Best Guru for you. Thanks for making us to hear some nice message. Millions of Thanks to Chinmayi for sharing this video. All the very very best Chinmayi. God is be with us. I think this one of the best message a guru can give a sishya or a mother can give to a child.I truly appreciate you for sharing this perspective. I miss my mom a lot...!!! Your mom makes a lot of sense. And it surprises me that this parampariyum that your mom comes from is the core of western, to be more precise, scandinavian management. This parampariyum speaks objectivism and grows the individual in you. Brilliant words. Awww...how fulfilling..This is such a comforting video...I just love to watch this over and over again just to see how beautiful a relationship a mother can have with her daughter. 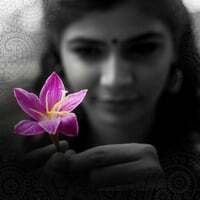 You are truly blessed Chinmayi...She has put in her everything to make a spectacular somebody of you and that's just awesome...Please do convey my heartfelt respect to her. And you are just beaming when she says "I'm proud of you"..I can see how satisfying that can be..
Unga amma voda ovvoru varthaiyum precious..
love u and ur amma !!! something amazing video in your blog. I think its too late to watch this video. when u start writing your blog itself you should have this video about your guru and lovely amma. amma is always the best. Nice to see you on all these shows...even a pleasant surprise to see you as a Judge on Amrita Tv's Super Star Junior!!! What is happening in Airtel Super Singer?? ?